Countdown has begun for one of the best nights of the year: in a week from now sales will start for San Silvestre Vallecana 2010, a 10 kilometer run on the very last day of the year. On December 31, at 18:00 in the afternoon, more than 25.000 people will start running from the Santiago Bernabeu football arena to deep into the heart of Vallecas. An hour later they -cold, sweaty and on a rush of endorphines- will then solemnly promise themselves to repeat the year after. Worshipping San Silvestre is great fun, deeply rewarding and highly addictive. It took me a few years before my friends were able to convince me –not exactly the sportiest person in this world- to put on my shoes and get moving on a night when so many other things need to be done (or at least seem to be necessary somehow) but now I can only stand up and admit I am an addict. It is crazy to do this on December 31, ridiculous to be in such a big crowd storming through the streets of Madrid, weird to do an hour of intense exercise with still so many hours to go during the rest night and maybe plain stupid to try to get home with so many at the same time while cold, hungry and tired. Man, I can’t wait! 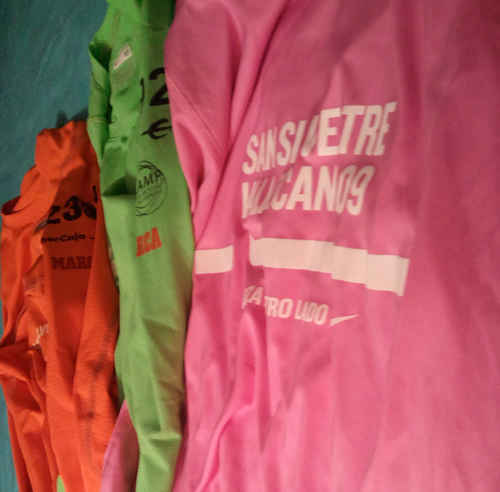 www.sansilvestrevallecana.com. Sales start on November 17. Better hurry, because it usually sells out in a week.